One month out of the whole year is noticeably harder than the rest for many birth mothers. The month of your child’s birth is often a time of reflection, longing, and emotional grief. Memories of your child’s birth bring back a flood of memories and emotions. At this special time, you may need some help coming up with ideas for a gift to give that would help keep the two of you connected as time goes on. We’ve compiled a short list of excellent gift ideas. You’ll want to consider the adoptive family and the adoption type. Adoption Books – If your child is still young, there are many books about adoption that make the perfect gift. Here are a few examples:Jewelry – There’s nothing like putting a special saying from you on something that your child can wear. There are also many ideas for mother / child jewelry on Etsy and Pinterest that you can browse through for ideas. Personal Belonging – If you have a toy, doll, blanket, or something else that meant something to you growing up, this might be the perfect gift to pass on to your child. Make sure to send a letter explaining what it is and why it meant so much to you. 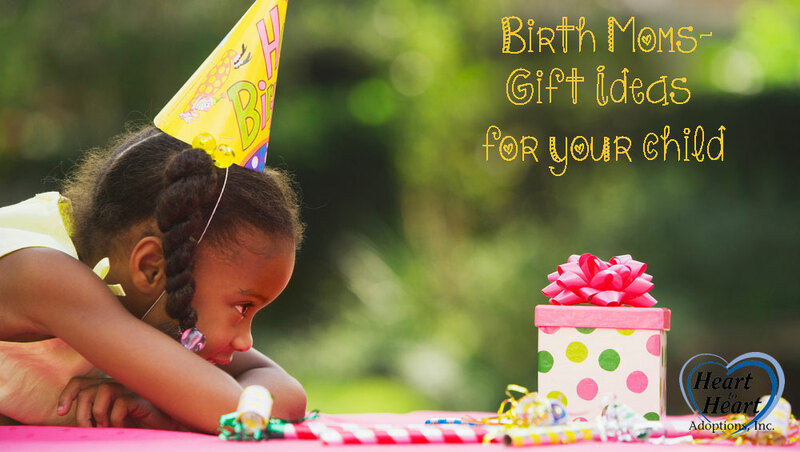 These gift ideas come from suggestions from other birth mothers. Hopefully they’ve sparked some ideas for you to pursue as the perfect gift for your child. If you have something to add to this list, please leave a comment below.